There has been a significant amount of research in the recent years exploring the dynamics between introverts and extroverts in the workplace. Firstly, it is to be noted that these are not two fixed points on a graph – people can have various degrees of extroversion and introversion. 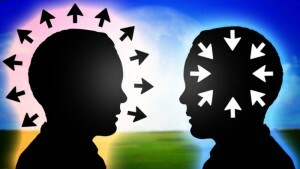 However, although the divide between these two concepts is not straightforward by any means, there are some general factors and insights that can increase one’s understanding about individual differences when it comes to intro- and extroversion. Instead of labelling the behaviour with extremes, the key is learning how to recognise, respect and value the talents and perspectives of others. In addition to exploring the dynamics within a team, there has also been discussion whether an introvert can be a proficient leader, particularly in an extrovert dominated environment. It is often an assumption that introversion is related to being shy or being antisocial in some way. However, it is in fact primarily about how one responds to stimulation, including social stimulation, which operates at the level of the nervous system. Therefore, it is not merely a preference as introverts typically dislike noise, interruptions, and big group settings. They tend to prefer quiet solitude, to have time to think before speaking or acting, and to build relationships and trust one-on-one. Introverts generally recharge with reflection, and focus deeply on work, but for extroverts, being around other people in fact gives them energy. So can an introvert be a leader? A lot of us can recognise within ourselves to some extent whether we are energised by external or internal stimuli. For leadership, it is important to increase one’s own awareness in terms of behavioural responses and find ways to make the demands of one’s job work for them, whether they consider themselves an introvert or extrovert. Crucially, introvert leaders should acknowledge the importance of being comfortable sharing enough of themselves to make interpersonal connections, the foundation for building trust among subordinates. By adapting to the environment and building connections one would show others not only that they are not self-absorbed, but importantly, that they have the self-confidence to command respect. Being an introvert in extrovert dominated environment is therefore not about ‘faking it’, but adapting to the world and people around you. Research in this area has concluded that extroverted leaders — who are likely to be comfortable expressing themselves and voicing their opinions — work well with their subordinates when the members of their team are more passive and dutiful followers looking for guidance. Extroverts bring the vision, assertiveness, energy, and networks necessary to give them direction. However, in a more dynamic environment where everyone is eager to express their ideas, extrovert leaders are more likely to feel threatened and even clash with their subordinates. In contrary, workplaces with confident, self-starting workers, introverted leaders tend to feel more at ease. Introvert leaders can also excel in leading innovative projects, as they are not hindered by routine and generally possess strong critical thinking abilities. They have an ability to focus and concentrate for long periods of time and tackle an issue until they’ve figured out a solution. Introvert leaders can be very effective when teaming up with people who complement them, helping them translate their ideas and voice them into the organisation. They are likely to listen, and be receptive to good ideas which can further increase the potential of their whole team. Introvert will take in information thoughtfully — and they are mentally capable of holding off from responding immediately. This can be crucial in conflict situations and miscommunication. So we can conclude that various factors in one’s personality can bring important aspects on board in leadership behaviour and team dynamics. Furthermore, a great leader is self-aware and willing and able to adapt and modify their behaviour as needed to lead others as well as turning diversity into success. It is therefore about finding their own niche in being a leader who is maximising the full potential of themselves and others.